The popularity of Newborn Photography is very much on the rise in the UK, following trends from over the pond. We had the pleasure of working with over 50 newborn babies last year, and the way it is looking, it will be many more than that this year! With this is mind, we thought we would write a post to give people more information about what is involved in a Newborn Photo Shoot, give some information about what goes on behind the scenes, and to answer some questions, such as why we (and most photographers) say the shoot needs to be within the first 14 days. 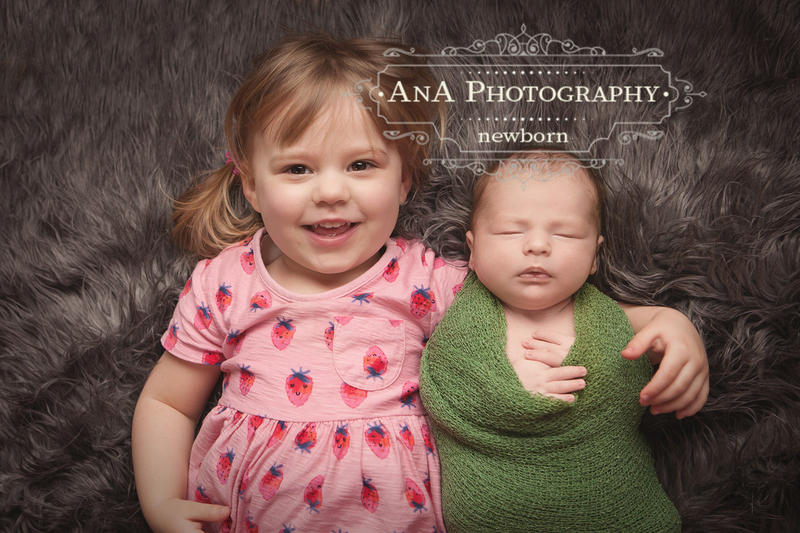 Firstly, for us, the Newborn Photo Shoots are by far our favourite sessions at the studio. It doesn’t make a lot of sense, as they take the longest to do, are the hardest to edit, means we are sitting in a sweatbox for 4 hours at a time, and often end up going home covered in wee and poo, but we love them! 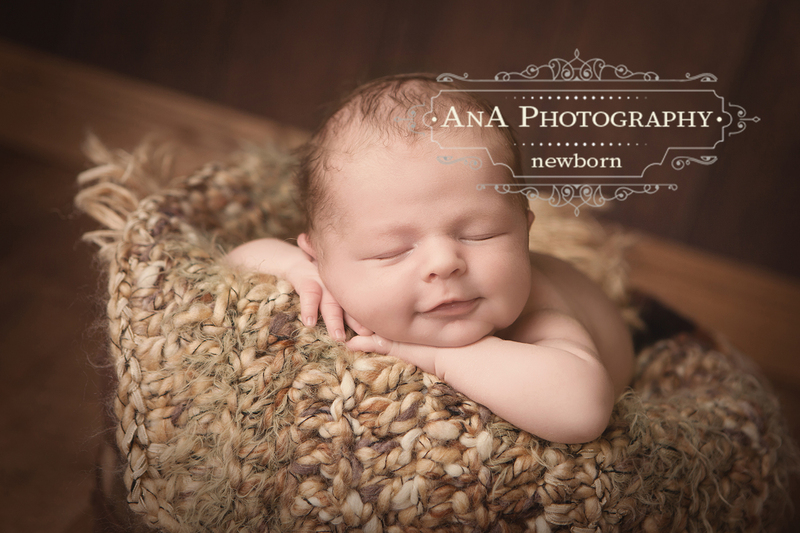 Our first aim for any newborn session is to make sure everyone is relaxed. When a baby comes into our studio, we are fully aware how precious this little one is to Mummy and Daddy, and we want to make sure they are happy with handing them over to us for the session. The first thing people notice when they arrive for a Newborn Session, is the heat. For a large part of the session, the little ones will be naked. 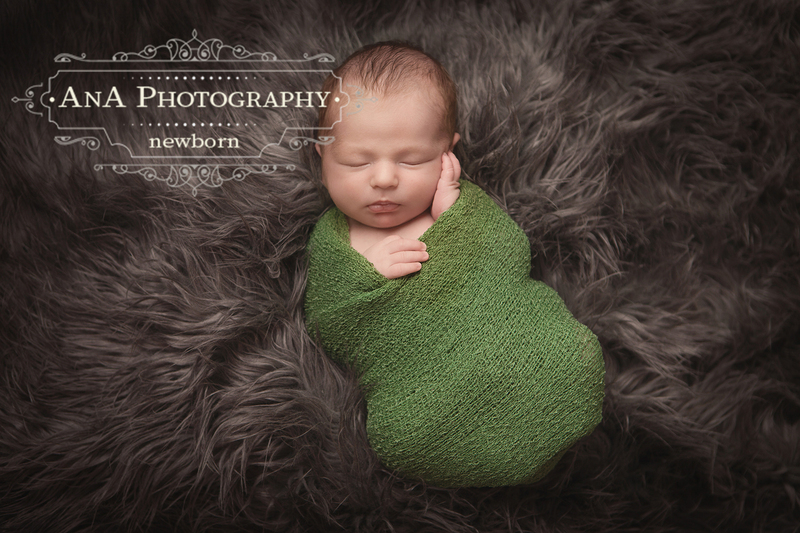 We need to make sure they stay warm enough, so the studio temperature sits at around 25-29 degrees for newborn sessions. Although this is lovely (and needed) for the baby, it does mean that while we are crawling around on the heated floor, we feel like we are being slow roasted! We are sometimes asked if we supply the props, or if you need to supply your own. Newborn Photography Props can be VERY expensive, as they are often custom made to be photography props. We have a wide range of props available, which is ever growing, so there isn’t any need for you to go shopping for them. However, if there is something you would like to include within your session, whether it is a special blanket, or something to do with your hobbies (motorbike helmets and instruments are both popular items), you are more than welcome to bring them along too. When we had Kieran’s Newborn Photo Shoot, we took along our cameras, and had some photos with him posed with them. Super cute! When it comes to the hats and headbands, we also have a range of these at the studio. Again, these are generally specially made to be ‘photography props’. Although this pushes up the price for us, it generally means they will fit. Many items you may see in a shop, or online listed as ‘Newborn’ size, will actually be way too big for the little ones when they have their photo session. As parents, we can see why. They grow so much in those first couple of weeks, if you spent £20 on a hat, and couldn’t fit it on them after the second week, you would be a little upset! This is why they are a little ‘large’ at the beginning, to make sure you can get more use out of them. The beginning of the session is mostly making sure your little one is comfortable and relaxed. We get you to strip them down, and give them cuddles, milk or to Aimiee if they are already fast asleep. Aimiee has spent many years developing her skills with posing the little ones, as well as taking training courses to perfect them. The first priority with our posing is the safety of your baby. We don’t pose them in a way which will risk them being hurt or falling. Many of the poses you see in our images are actually more than one image, all edited together. Our next priority is how happy your little on is in each type of pose. For example, some babies point blank refuse to tuck their feet under their bellies. This becomes apparent very quickly, and that means we won’t do those poses. Similarly, some babies don’t like being on their side, so we do mainly tummy poses. The last thing we want to do is cause stress to the little one, and ultimately Mum and Dad too. For this reason, we never guarantee a certain photo within a session, as it is fully led by what your baby is happy with. This brings us onto the ’14 Day’ topic. Like us, most Newborn Photographers say that the shoot needs to take place within the first 14 days after your little one arrives. This is largely because soon after this age, it isn’t comfortable for your little one to do many of the poses we try. They also tend to be much more ‘awake’ from this age, making the posed shots much harder to achieve. Their reflexes also become more developed, which adds additional safety considerations, as they can suddenly move with no notice, so we need to be more aware of what positions we place them in, along with making sure they can’t suddenly jump off the beanbag or prop! We generally pick out a range of props for the session before you arrive. This depends on whether your little one is a boy or a girl, and they are also chosen to give you a better range of images from your session. Although, if you have seen a photo on our website, or see a prop at the studio you would really like us to try, please feel free to ask. We are always happy to change things around a bit in the session! Another question we are asked fairly often, is whether we can include photos with Mum and Dad, and any big brothers or sisters. We are more than happy to include the rest of the family in the shoot. For us, we tend to include siblings in photos a little way into the shoot, just so they don’t get too bored. We then do the family shots at the end of the session, as it isn’t as important for your baby to be asleep at this point. For the siblings, we always recommend bringing along some toys and games for them to play, but we also have a screen at the studio which we can put films etc on! We do not charge any extra for family and siblings in the photo sessions. As your little one is naked for the majority of the session, this inevitably leads to accidents. Please don’t be embarrassed by this, it happens at virtually every newborn session, and we (Aimiee) is very used to going home needing a shower and change of clothes! Ant manages to usually avoid it by holding onto the cameras! Your little one may want feeding or cuddles at various points throughout the session, and this isn’t a problem at all. A large amount of a newborn photo session involves sitting around chatting, waiting for baby to be ready for their next shot. As we mentioned before, the session is very much led by your baby, and you can’t force them to do something they don’t want to. They soon let you know if they are unhappy! After your session, we get to work on the editing (after backing up, backing up again, and then again!). As many of the images are made up of multiple photos, our Newborn Photo Shoots are the most time consuming editing wise. As you will see in the session, many of the shots will have Aimiee’s hand in, in various places. This all need editing out by combining multiple images, some of our more complex shots can contain up to 7 different images, taking well over an hour to line up and combine! Once this is done, it comes to the styling edit. This involves an huge amount of layers within Photoshop, with various tools, functions, plugins and presets, all operating together. Most people won’t have had the need to use Photoshop, but it is an immensely powerful, and often complex piece of software. It has taken us many years to gain our current skills with it, and we still learn something new almost every time we use it! Once your photos are all edited, they are saved, backed up again and again and turned into a slideshow before inviting you back to see them! We spend a huge amount of time looking at ways to develop our newborn photography, shopping for new props, blankets and hats, taking new training courses and buying new kit. The newest addition to our Newborn sessions is our mammoth 7 foot wide umbrella for the studio lights. We are excited to try that out this week! If you got this far, thank you for reading, and please feel free to get in touch if you have any questions about our Newborn Photo Sessions, and likewise, if you have had a session with us, and have any feedback, we would love to hear it!